One incredible venue, limitless possibilities. Magna offers 4000 m2 of dedicated event space, perfectly located in the heart of the UK close to Sheffield and minutes from M1 Junction 34 Meadowhall. With 24 event spaces, this monumental venue is perfect for big and small events alike. Whether it is a meeting for 20 people, dinner or conference for 200 or an exclusive hire for 2,000 - Magna has all the space you will ever need. WINNER 2018 CHS Award for Best Unusual Venue Space. 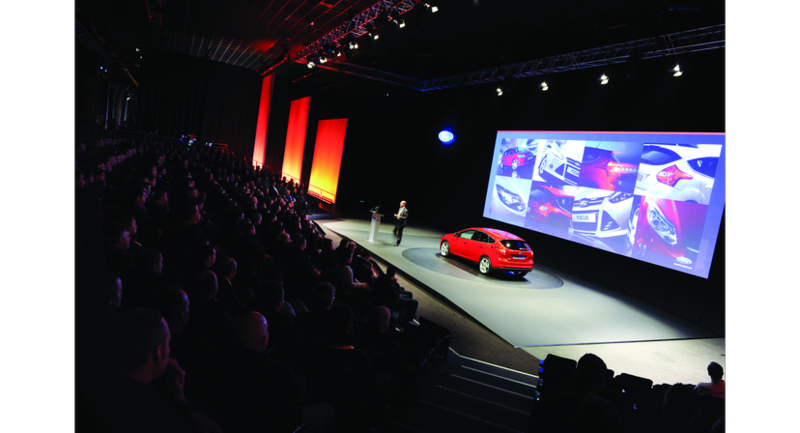 Once the home of steel, Magna is now the home of event inspiration! With over 400 free car parking spaces Magna is the ideal location for your meeting, conference, event, dinner, exhibition, concert or launch. Offering unparalleled space alongside the convenient location, a dedicated events team, on-site catering and in-house AV and exhibition services. Our Big Hall can accommodate 3,500 for theatre style and 1,000 for banqueting, or it can easily be sectioned off for smaller events. In addition we have a variety of other rooms and spaces across the venue which can be used as breakout areas or stand-alone event spaces. 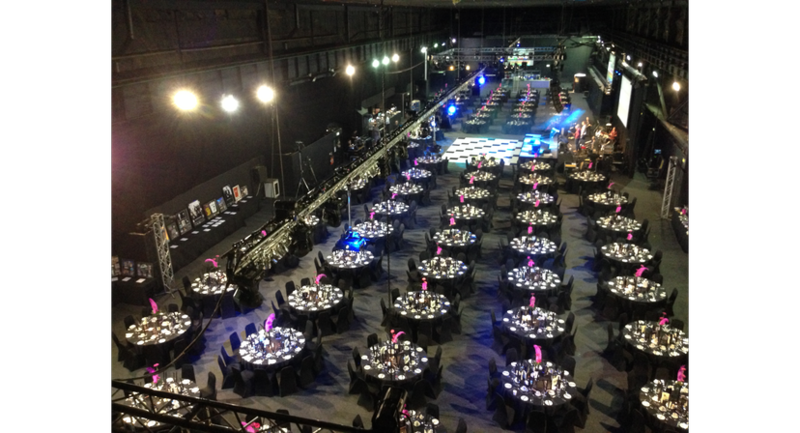 Our event team are always happy to discuss options with you and devise a solution which best suits your needs. Our showpiece area, the Big Hall, can accommodate virtually any event or occasion. With over 2,000m2 of space it offers a blank canvas which can be specically tailored to your needs. 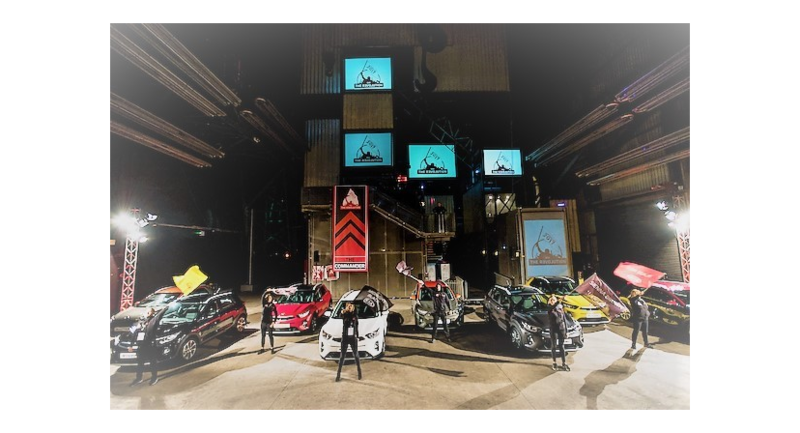 Use the built-in multi-media screens to deliver your brand message whilst the building immerses your guests in the awesome steelworks. The Face of Steel is the ideal spot for drinks receptions, launch parties, large presentations and a walk through opportunity that delivers a powerful first impression to your event. Our striking glass-fronted terrace area with its own bar and breath taking views over the visitor attraction. Fuel can also be used in conjunction with the Big Hall as a welcoming area or a VIP lounge. 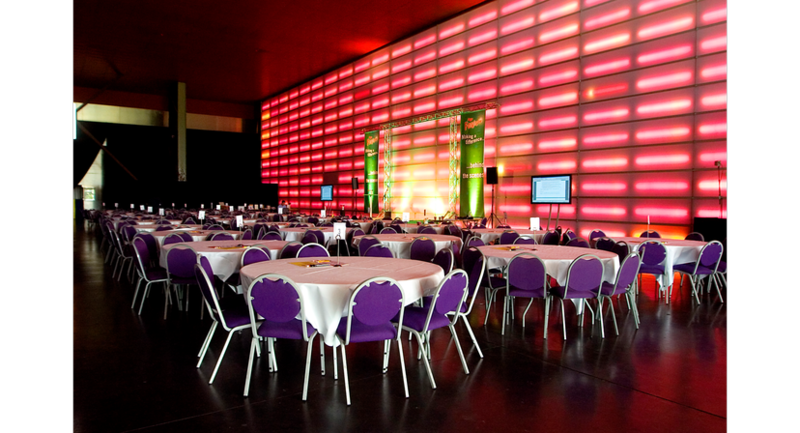 - The area can be combined with use of the Big Hall, Conference Rooms and the Red Hall. The Phoenix Rooms offer flexible options for events up to 150 people. Located at the rear of the Red Hall and consisting of two spaces which can be used together or individually. A versatile setting for dinners, conferences, drink receptions and intimate parties. Make your event a truly unique and memorable experience for your guests by allowing them the opportunity to explore this incredible venue and discover it’s history. Magna is housed within a vast former steel works and is rich in local history and heritage. Formerly one of the world’s largest steelworks, known as Steel Peech and Toser, the works employed over 10,000 workers and housed 6 electric arc furnaces which produced 18 milion tonnes of steel every year. As the backbone of the modern world the steel industry was accountable for the society and community of Sheffield, Rotherham and the surrounding area. Much of the steel needed in both World Wars was produced at the Templeborough steelworks, including the shells, tanks and wheels produced for WWII. When the works closed in 1993 £46m of Millennium Commission Lottery funding was secured enabling the creation of Magna and it’s Science Adventure Centre. The building has been given a new lease of life with futuristic technology, visionary architecture and breathtaking interactive games and challenges. As a testament to the local steel industry, a number of the original features, including hulking hooks and cranes and winding passages have been left untouched, giving the building a greater sense of atmosphere. Step back into the world of the steel workers and experience one of Magna’s original arc furnaces brought back to life through exciting pyrotechnics, audio and smoke. The show perfectly re-creates the steel making process (except for the absence of thousands of tons of molten steel and of course the melting temperatures!). Each show lasts for 12 minutes. Led by former steel workers, tours telling the proud story of the steel making industry bring history to life. Steel tours usually last for 1 hour and can incorporate the Big Melt Show. Feel the heat, the danger and the hardship of the people whose lives were shaped by Steel. Within Magna we have a number of flexible Conference Room options ideal for training sessions, sales events, meetings, as well as society and association functions and private dining. 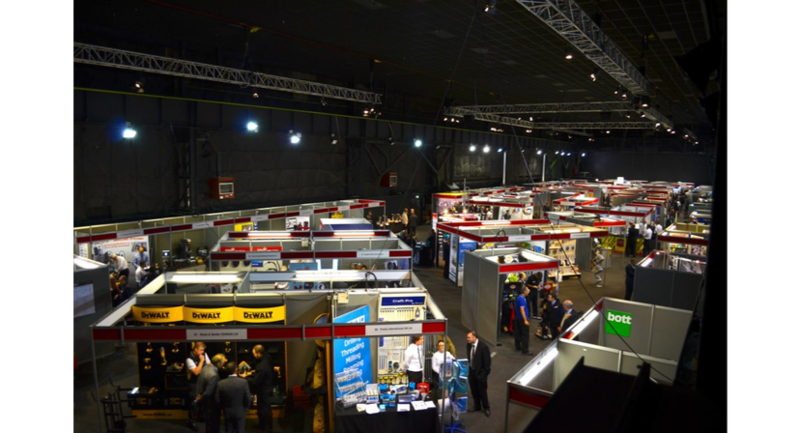 All rooms are conveniently located and can be used as breakout areas in conjunction with the Big Hall and other event spaces.